If you have bathroom issues, we have some great stories and tips for you. Runners On The Go Running Correspondent, Mike Reynolds shares some of his best bathroom stories from various races as well as a fantastic tip to get you through the bathroom more quickly at your next race. Check the full article out on our blog, and don’t forget to share and subscribe! How to determine the number of weekly miles you need to run to run a 5K, 10K, half marathon, or marathon. Runners too often get caught in the mileage trap, thinking more is better. The truth is, more mileage is better only up to the point where you can achieve your potential. 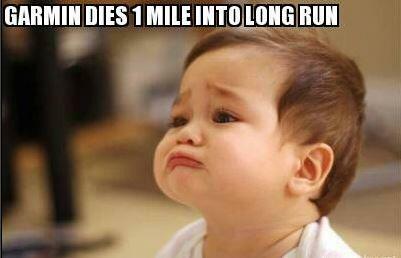 After that, each additional mile only increases your injury risk. The following six rules informed the mileage ranges below and can help you find your magic number. The longer the race, the higher the mileage. . .
Posted on February 14, 2015 Categories UncategorizedLeave a comment on How Many Miles a Week Should I Run? I don’t think it’s any secret that I despise the treadmill. If I had the choice between banging out a five-miler on that hamster wheel or slogging through a snowy Central Park, I’d definitely pick the latter. Personal preferences aside, the treadmill can actually be a pretty useful tool (there, I said it) if used correctly. To help make my miles more manageable, and just get a better overall workout when I do find myself on the treadmill belt, I reached out to David Siik, a running coach and creator of Equinox’s treadmill training program Precision Running. I put his tips to the test, and actually enjoyed my last treadmill session. Read on the see if they help you tread right, too. Cross training, cross training, cross training. Successful runners and coaches can’t preach enough the benefits of incorporating other forms of activity into the training cycle for any race distance from the mile to an ultra marathon. One key component to any cross training regimen is strength training and we’re not talking about huge plates, grunting, and volumes of pouring sweat. For the runner, strength training is directed more to firming, toning, and building durability of certain muscle groups as well as increasing the efficiency of those muscles at removing and moving lactic acid. Here’s 10 exercises from Runner’s World Magazine that will enhance and improve your running ability when incorporated to training schedule on a weekly basis. 10 Essential Strength Exercises for Runners | Runner’s World. Some of these foods are pretty far out there; but if you like new and exciting foods, all of these have some great health benefits! Dieting and losing weight are, by leaps and bounds, the No. 1 New Year’s resolution in America, with 13 percent of people saying they plan to do it. But most don’t manage to keep those resolutions, and we think it’s because they don’t have enough interesting food to add to their newly resolved diets. So in an attempt to help those of you planning to change what you eat next week, FWx is bringing you six hot foods that will perk up those resolutions to eat right in 2015—at least for the first week.